Salem’s youth gather in their own Youth Room located across the hall from the gymnasium. It provides an environment where teens may gather safely, be accepted, grow in faith, and learn about Jesus’ love. From high-impact trips such as the LCMS National Youth Gathering to local service events, teens share the love of our Lord and Savior Jesus Christ with others. Contact Jeff Kullmann for more information or visit the Salem Youth Group Facebook Page. Members of Salem’s Senior High Youth Group are available to help out with household chores and odd jobs. The youth are able to paint, clean, rake leaves, mow lawns, pull weeds, babysit and walk dogs. Money earned will be used to help off-set expenses for the 2019 LCMS National Youth Gathering in Minneapolis. If you need help around your house and are willing to support our youth at the rate of at least ten dollars per hour, please contact any youth or their parents. For more information please contact Jeff Kullmann. 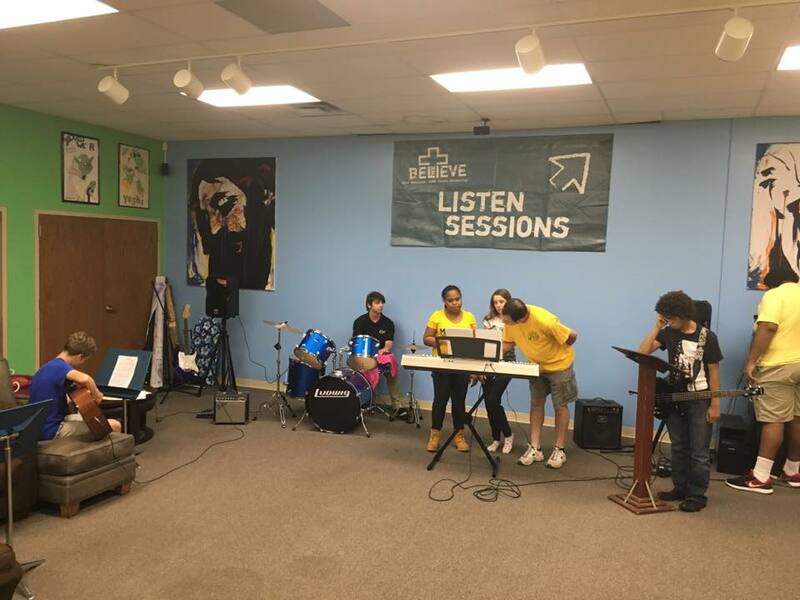 Salem’s Praise Band practices on Tuesday evenings in the Youth Room. The Praise Band is led by Dale Dalton who provides the leadership to the musicians that could potentially reach a whole new group of people. The youth group is excited to see what God has in store for its ministry. Ever wonder what Salem’s Youth Group is doing or what’s coming up in a week or maybe a month? Check out the Youth Calendar.